Believing that your idea could become a business. Knowing that you could save a community. Hoping to change the world. Remember what that felt like? You can pass it on to the next generation with a gift to scholarships and student life at the University of Houston. Recruiting and retaining the most diverse and academically competitive students, regardless of financial resources, is a top priority for our University. Our goal is to increase access to a world-class education by substantially increasing merit and need-based scholarships. Scholarships work in tandem with UH’s robust student programming. The Division of Student Affairs and Enrollment Services comprises 27 departments and programs, and supports the University’s mission by providing a comprehensive array of services, programs and activities that enhance the learning environment and development of the whole student. Your gift to University of Houston Scholarships and Student Life can help promising students not only graduate, but achieve more and give more back. UH data show that 87 percent of our scholarship recipients stay at the University, and that they have a higher grade point average than non-scholarship students. Tier One Scholarships: Tier One Scholars are among the most academically competitive students in the nation, and the University’s premier scholarship program guarantees four years of tuition, two years of on-campus housing and stipends for undergraduate research and study abroad. Cougar Experience Scholarships: Cougar Experience scholarships allow freshmen to live on campus, and requires their involvement in at least two campus organizations or jobs. UH data show that students who live in residence halls are more successful in persistence and retention, have higher GPAs, take more credit hours, are less likely to withdraw and are more likely to finish a degree in four years than their commuting peers. Persistence Scholarships: Persistence scholarships are need-based awards for students nearing the completion of their studies who are faced with hardship, often with only one or two semesters of coursework remaining. Raising graduation rates is among the most important priorities for UH’s student success initiative, and persistence scholarships give some of our most hardworking students the opportunity to realize their goals. 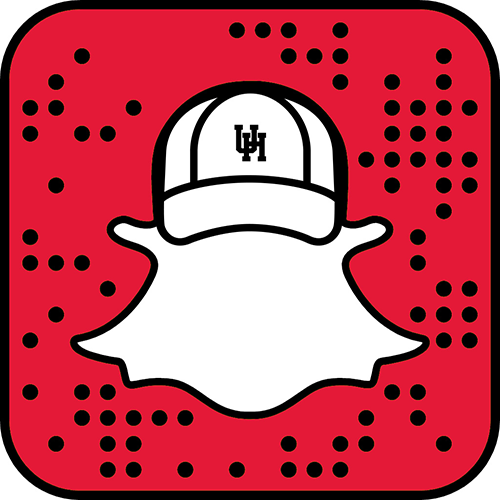 For more information, contact Olivia Thompson, Chief Development Officer, at 713-743-8026, or onthompson@uh.edu. When UH became a Carnegie-designated Tier One public research university, it was a turning point for the institution. In the same way, receiving a Tier One Scholarship is a turning point in a talented student’s life. Your gift attracts these bright, driven individuals to UH, and empowers them to whole-heartedly pursue their studies and campus activities. 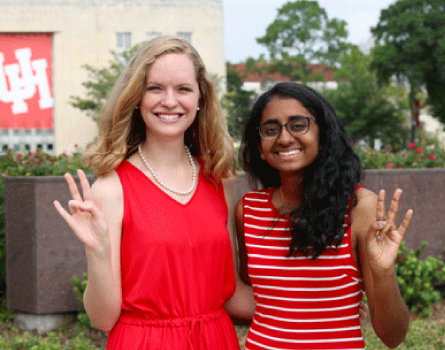 All Tier One Scholars have two things in common: one, they typically have competitive offers from multiple colleges, and two, the Tier One Scholarship was a major reason they chose UH. But don’t take our word for it — let our Tier One Scholars and alumni tell you!